This Single relay Controller has been designed to allow modellers to switch one item on and off (max current 1 amp). The unit also allows the user to select latching or non latching mode, so in latching once switched on it stays on until you trigger it to un-latch. Plug the flying lead on the Single Relay Controller into the selected channel on your receiver. Switch on the transmitter and then the receiver. 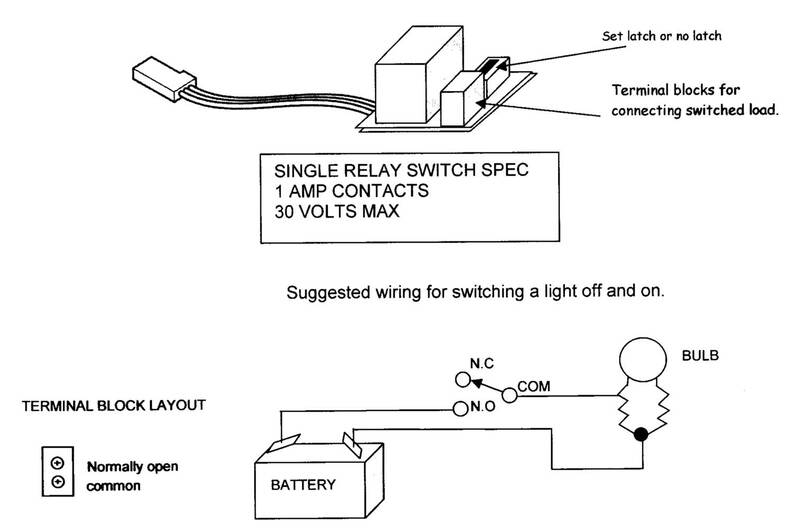 With non-latching action, the relay remains on only while the stick is held on that side of neutral. 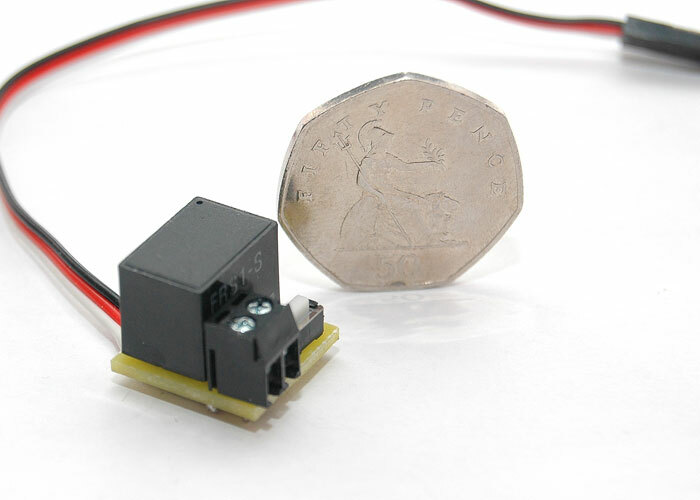 With latching action, the relay remains on even when the stick is returned to neutral. A second stick movement is required to turn it off. The unit remembers the settings and will be retained it until you carry the same operation to make it go back in to non latching mode. Please ensure that the SET key cannot be pressed accidentally while the unit is in use.